The Wereld van Kina (The World of Kina) is a two-part nature museum for children and teens consisting of a house and a garden at separate locations. 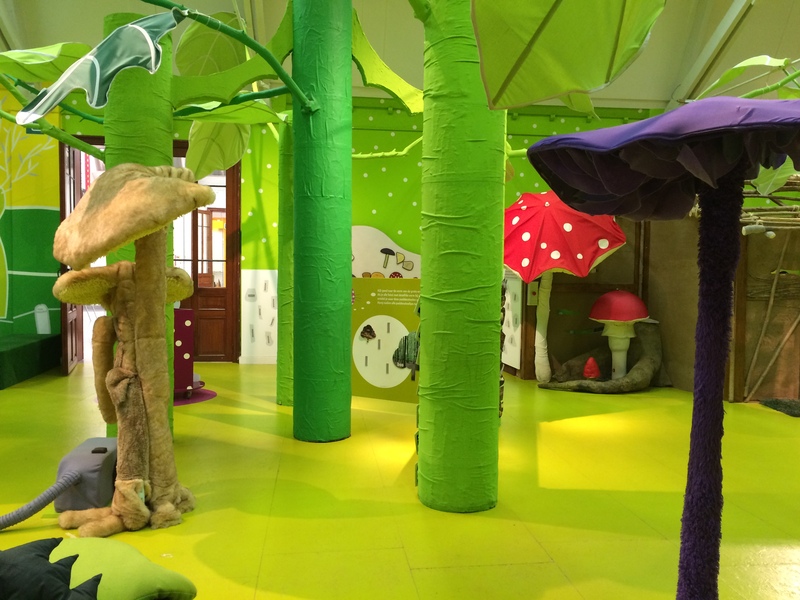 Kina stands for kinderen (children) and natuur (nature) and the hands-on exhibits are great for engaging kids. The Huis van Kina is located in one of the wings of St. Peter’s Abbey. The entrance is graced by some “dragon” skeletons, an intriguing way to draw you in to see what might be inside. Once you enter, you will find both modern exhibits and some older ones. On the first floor, there is an exhibit about dinosaurs, with mini models of dinosaurs as well as some charming giant-sized dinosaur legs encircling you as you walk down a ramp. There are cases filled with preserved butterflies and beetles as well as a little caravan in which you can sit and watch movies about insects. There are doors to open, buttons to press and lots of fun for young ones to discover! In the main hallway, one of my son’s favorite things to do is climb a ladder to a simulated bird blind, where you can look through binoculars and view some birds in mid-flight mounted further down the hall. 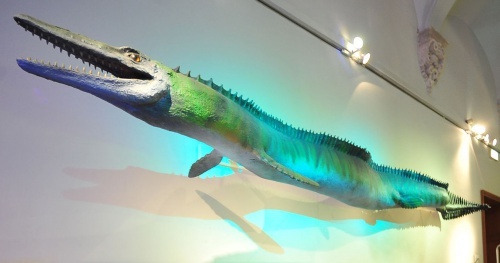 Wereld van Kina – het Huis Mosasaurus. Stad Gent. If you head upstairs, you will find the Kei Cool exhibit. This has all you want to learn about geology. 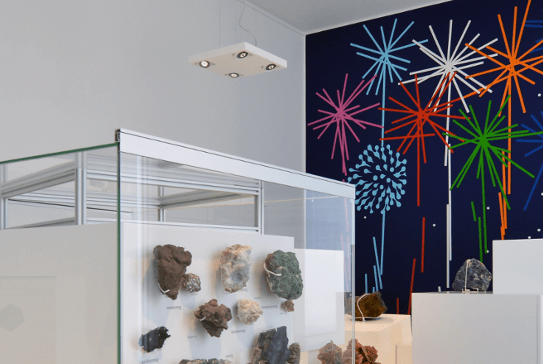 You can slide panels to simulate the movement of tectonic plates, discover all about the processes of rock formation and make your own volcano with sand. There is even an earthquake simulator, not to mention singing and dancing metamorphic, sedimentary and igneous rocks. There is also a nice rock and mineral collection, including ones that glow in a black lit room. In addition, there are natural collections of shells and marine animals, and older exhibits of taxidermied birds. There are areas dedicated to the body and cells, including swinging doors that you walk through to simulate the lungs and heart. Some parts of these exhibits are a bit worn down but still kind of neat (the Mollusc exhibit is currently being renovated). In the human body section, accessed via a painted sperm stairway, is the exhibit about sexuality, perhaps perfect for a preteen or teen to learn a little more about their body and growing up. The garden part of the Wereld of Kina is located north of the house (about 20 minutes by bus). It has a lovely garden with 1500 plants, some grouped in locations such as medicinal plants, cut flowers, etc. 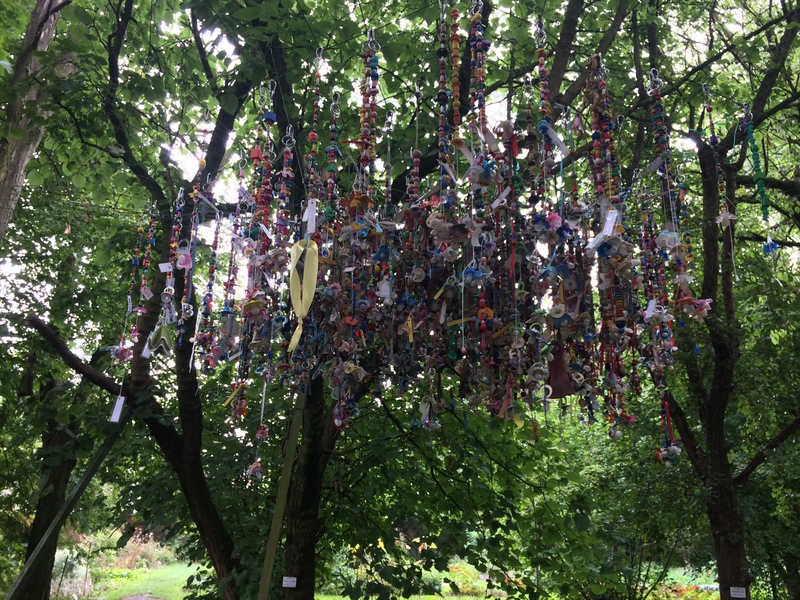 There are music-making structures and even an area where toddlers can relinquish their pacifiers in a ceremony each winter. The garden is a reconstruction of the oldest hot garden in Belgium. The garden is the site of the original museum, previously called the “School Museum” which was founded in 1924. Inside the building, there are fun exhibits on bees, spiders and mushrooms, among other things. The ladybug room is perfect for even the youngest visitors to wander around. They also have live creatures including an amazing collection of walking sticks! 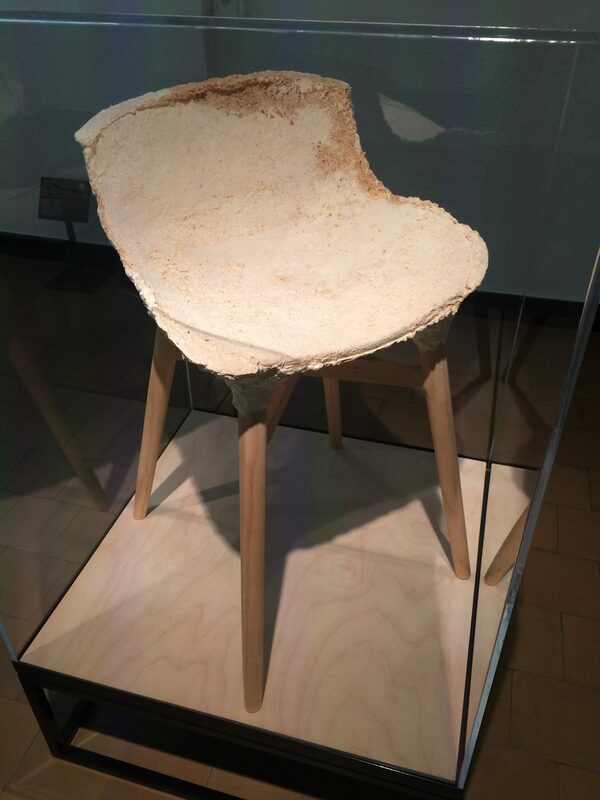 Until November 18 (2018), there is a special exhibit called “Fungal Futures 03,” which delves into the idea of using fungus – in this case, mycelium – to make more sustainable materials. Mycelium is a network of wires that grow on vegetable and other waste, and designers, artists and scientists are using it to create items such as packing and even furniture.There is also a contest for those wishing to try their own hand at producing a new item from mycelium. A second temporary exhibit at the garden is a celebration of 20 years of the “Vos en Haas” books. It’s on until June 2019. The house and garden are both fun places to spend some time with your child. Even if they don’t speak or read Dutch, there is plenty they can experience and enjoy. Plus, kids get in free and if you have a Gent Identity card, adults are only 1.50 euro. You can visit both locations in one day or save your ticket and visit the other site within 6 months for free. They host special events during school vacations and during Gentse Feesten. You can also have a birthday party there. Check out the website for more details. Monday-Friday 9:00-17:00. Sundays & Holidays 14:00-17:30. Closed Saturdays. 3 euros for non Gent residents, 1.50 euros for Gent residents. Free for 18 & under. Dena is a former science teacher who used to spend her summer vacations satisfying her travel bug. Now that she travels with a five year old, there are far less museum visits and far more playground visits. She enjoys reading a good book, drinking a tasty Belgian beer and a wandering in the woods. She is working hard to improve her Nederlands and to take advantage of every moment in the beautiful city of Gent.